Board of Directors Adds Three New Members! Rebecca, Darryl, and Judith officially joined the BACS Board of Directors on March 28, 2017. Each of our new members brings a wealth of community service experience, expertise in Finance, Strategic Planning, public office, and more. 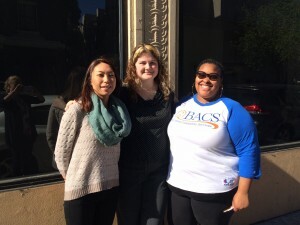 Welcome to the BACS Board, Darryl, Judith, and Rebecca! Simply the Basics Donates More than 13,500 Supplies! In September of 2016, BACS posted about our new partnership with Simply the Basics. The mission of Simply the Basics is to provide for individuals, organizations, and communities their most basic needs with dignity so that they can focus on bigger goals. Since our partnership first began, Simply the Basics has donated more than 800 hygiene kits, 6,500 feminine hygiene items, and 550 detergent packets. Total, Simply the Basics has given BACS 13,750 supplies, worth more than $10,500! BACS is excited to announce that our Board of Directors is now accepting applications! Our mission is to uplift under-served individuals and their families by doing whatever it takes. BACS is the leading provider of recovery-oriented behavioral health services. 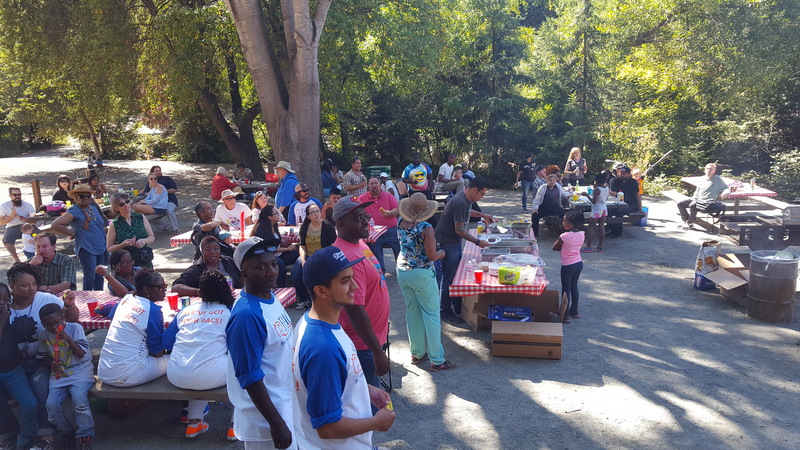 We operate the largest program to end homelessness in the Bay Area, which sees more than 80% of participants go in to permanent housing. Our Senior Day Programs are the most popular and affordable option in the Bay Area, providing engaging day services for elders with memory disorders. If you share the BACS mission, want to give back to our community, and are interested in joining the BACS Board of Directors, fill out the Board of Directors Application and return it via email to Nora Daly. BACS is pleased to celebrate the 2 year anniversary of BACS’ Prevention Engagement Program (PEP). BACS opened PEP, a prevention and early intervention program, in 2014 to fill a crucial need in the community: brief services for individuals exiting inpatient hospital stays, or experiencing early-stage behavioral health issues, who need support to prevent relapse and promote well-being. PEP was also BACS’ first program in Solano, and opened the door for us to provide many more services. Our PEP team has made a huge difference in Solano County. Happy anniversary, and congratulations on all your hard work! Learn more about our Prevention & Early Intervention programs here. 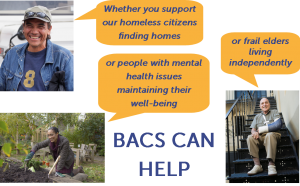 When the Homeless Action Center referred her to BACS, Jane (pseudonym) was in the process of applying for Supplemental Securities Income (SSI). She was struggling to connect to community providers and resources, and she needed support to get the benefits she qualifies for. Jane was independent, and had substantial family support, and was determined to get SSI and support herself independently. BACS’ Success At Generating Empowerment (SAGE) program staff worked with Jane to get her the resources she needed. This month, Jane is celebrating getting SSI benefits because she feels that she can finally support herself, and is finally more connected to community resources. Congratulations to Jane, and to the SAGE staff who helped her achieve this success! BACS hosted our 2nd Annual Staff Appreciation BBQ Picnic this month at Lake Chabot! Over 100 staff, friends, and family members of BACS spent a beautiful day in the sunshine playing lawn games, enjoying grilled goodies, and winning exciting prizes like a new iPad, massage gift cards, and a gift card to the Claremont hotel. We announced several exciting staff programs based on feedback, including a comprehensive and ongoing training program, a tuition reimbursement program, and more. BACS is fortunate to have an incredible, talented, and dedicated staff. Thank you to everyone who came! 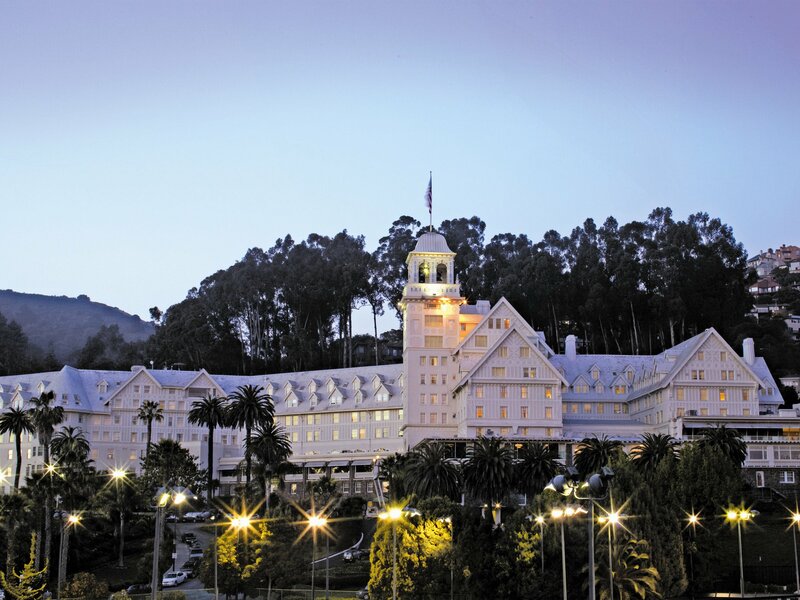 The historic Claremont Club & Spa, A Fairmont Hotel, in Berkeley has made an incredibly generous donation to BACS! 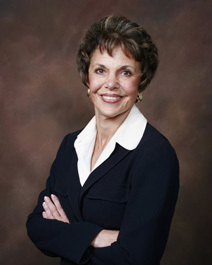 Rachelle Owen, Board Secretary on the BACS Board of Directors, helped connect The Claremont Club & Spa to BACS. The Claremont Club & Spa donated nearly $10,000 worth of linens, which were delivered to our Housing Fast Support Network and our Crisis Residential Treatment facility. This donation empowers BACS to focus on our bigger goals – ending homelessness permanently, and ensuring quality care and support for everyone with behavioral health issues. Every year, BACS provides services to more than 2,000 individuals in need. To learn more about our generous donor, the Claremont Club & Spa, a Fairmont Hotel, visit their website! Did you know that just by shopping on Amazon, you can donate to BACS? Amazon Smile donates a portion of your purchase to your selected non-profit, and BACS is registered on Amazon Smile! 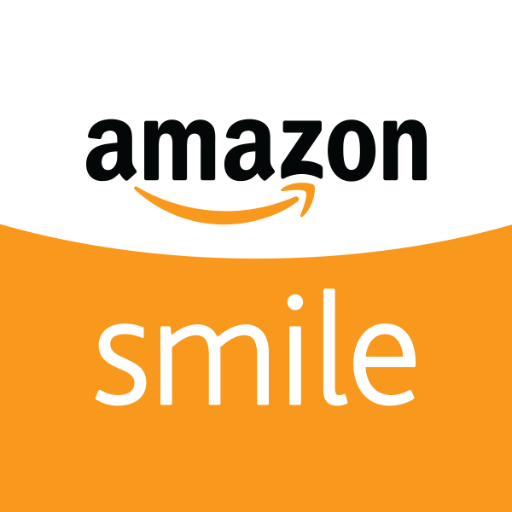 Visit smile.amazon.com. Hover your mouse over the charity you currently support, and in the dialogue box, click Change Your Charity. On the next page, type Bay Area Community Services into the search bar, click search, then select BACS. Visit Amazon Smile every time you shop for the same deals and inventory, with the added bonus of donating to BACS! If you would like a more detailed explanation of how to sign up for Amazon Smile, email us at bacs@bayareacs.org. 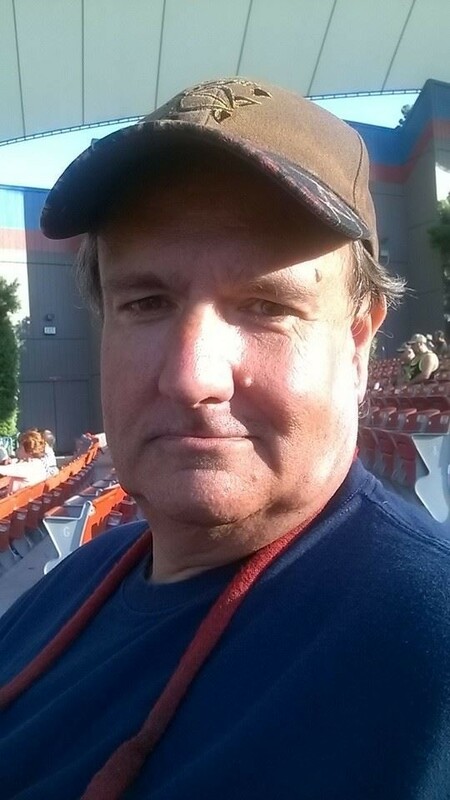 Congratulations to our August Employee of the Month – Soren Perry, Support Counselor in BACS’ Solano County programs. Soren is the embodiment of two BACS values, Accountability and Integrity. 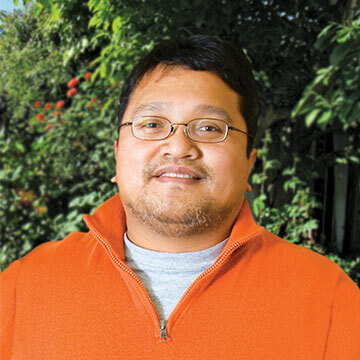 He has worked with our Solano programs since the beginning, and recently helped to develop and start our SHAPE program. He delivers critical, excellent services to our participants, while being a great team member who supports his colleagues. Congratulations, Soren, and thank you for all you have done and continue to do to make our agency and program so strong!